Psychologists and Board Certified Behavior Analysts (BCBAs® ) often work with the same student or client in the school and clinic settings. Both fields share the same ultimate goal for the client: “Meaningful functional and socially-significant change.” However, each profession has its own area of expertise in evidence-based modalities in helping the student/client achieve his/her goals. The differences in modalities and misunderstanding of the respective fields, at times, can create tension and ultimately decrease progress for the student/client. 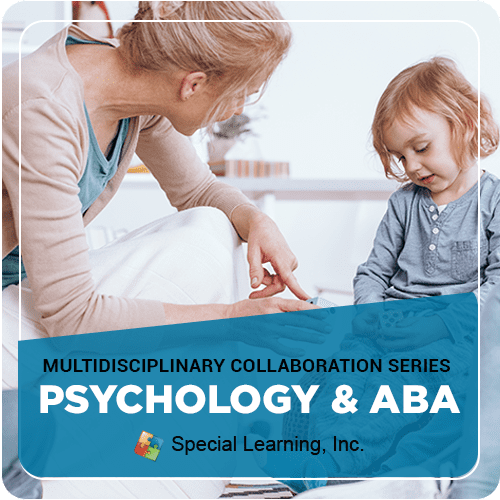 In our 4th installment of the Multidisciplinary Collaboration Series, we examine the fields of Psychology and Applied Behavior Analysis (ABA) in a hybrid didadic and symposium format and bridge the gap by addressing best practices in collaboration to achieve better outcomes for our students and clients.